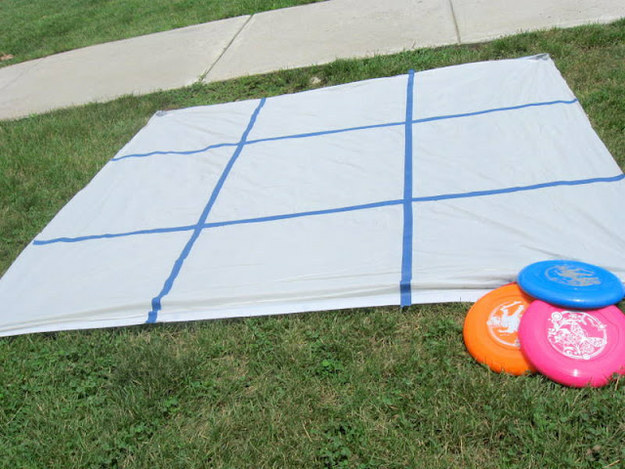 DIY this backyard tic-tac-toe game with a shower curtain, tape, and Frisbees. This game is harder than you think! Learn more here. 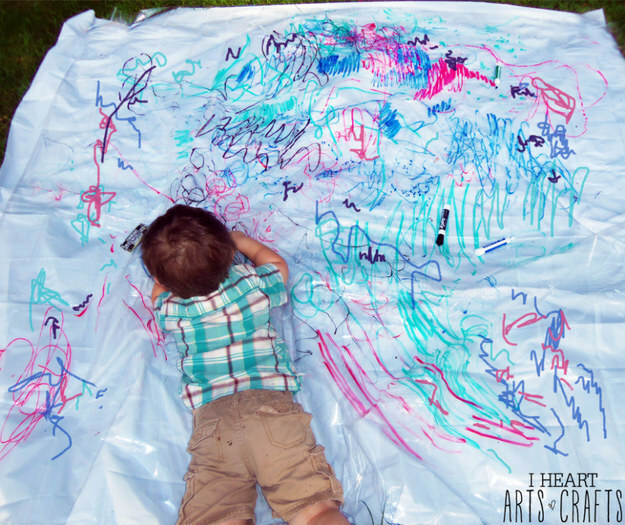 Use a clear shower curtain liner to make a dry-erase sheet your kid can draw all over. the markers wipe off, so your kid can start over again the next day! Find out more here. 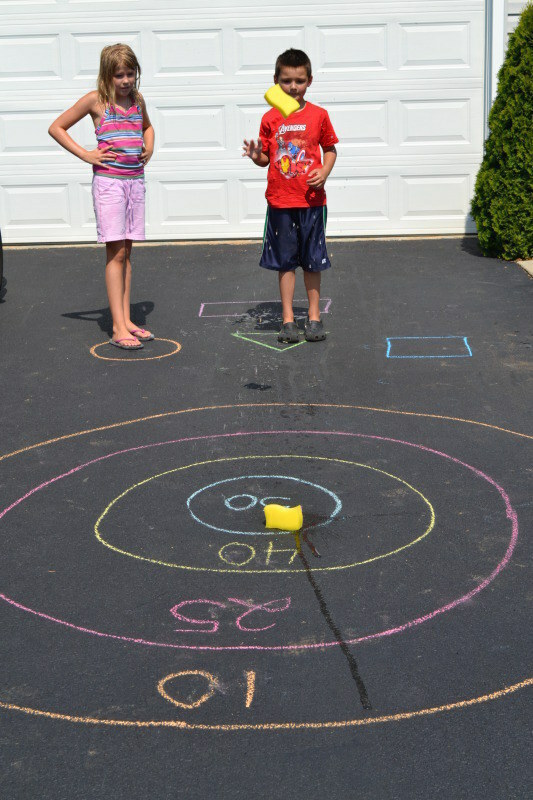 Dollar-store sponges and chalk are all you need to turn your driveway into a bull’s-eye target game. Read more about this and other fun outdoor games here. 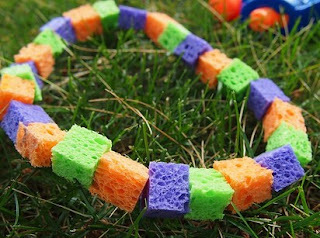 Dollar-store sponges can also be used to keep your kids cool as they play. the tutorial for these “cool-off necklaces” here. 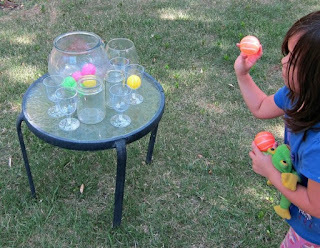 Set up carnival games in your backyard using nothing but dollar-store finds. 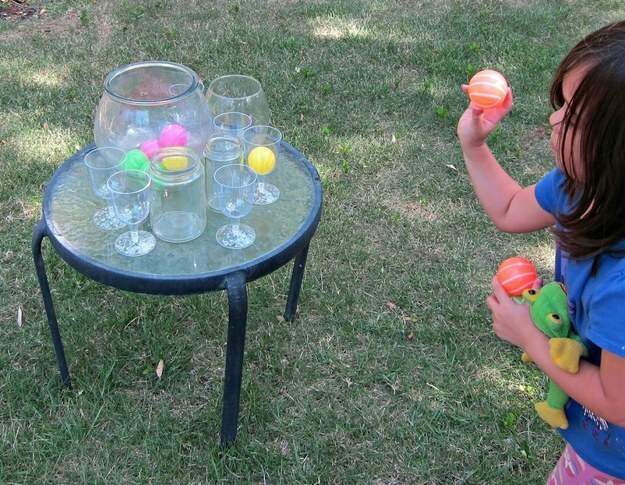 Find the how-to for five carnival games here. 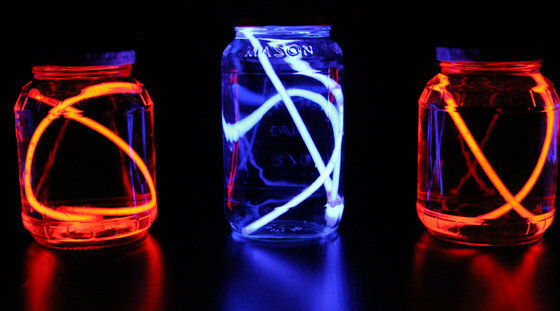 DIY a table lantern using glowsticks, dish detergent, and a jar. Kids and adults both will have fun putting together this DIY. Learn more here.